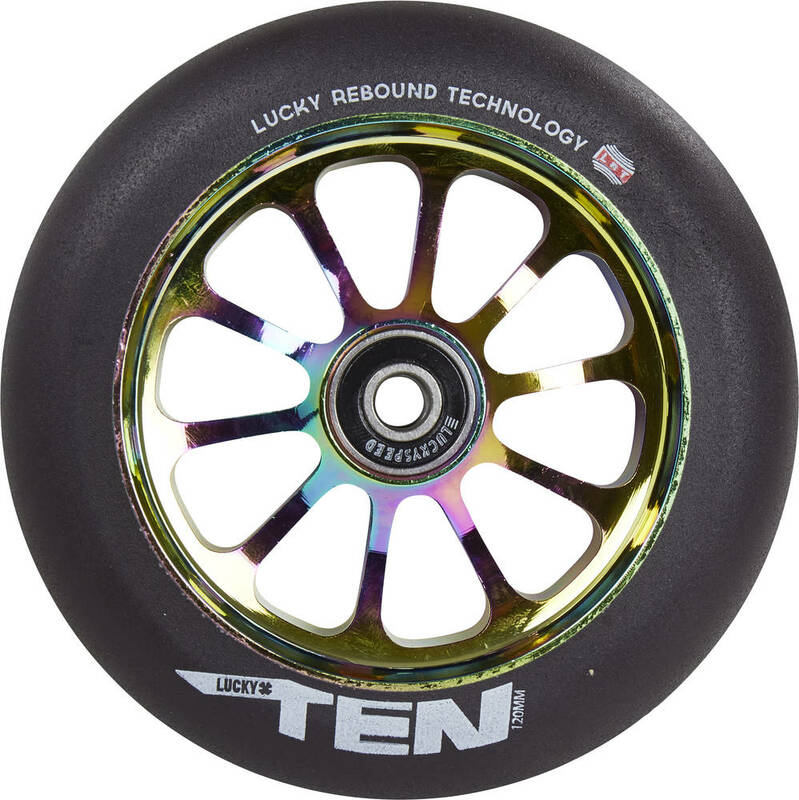 The 120mm Lucky Ten scooter wheel features Lucky Rebound Technology, a combination of high-performance urethane, a new pouring process, and a proprietary curing method which gives these pro scooter wheels a grippy, fast, and buttery roll. 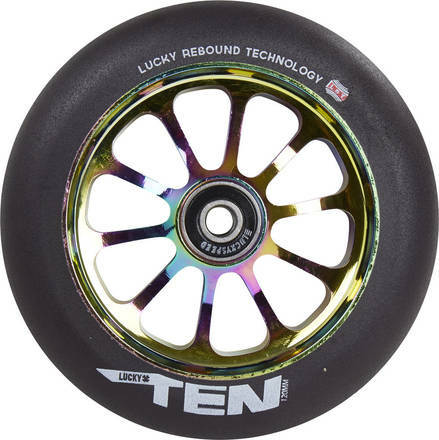 Lucky Ten scooter pro scooter wheels have a 86A durometer rating, been tested extensively to prevent chunking or dehubbing. Lucky Tens are the choice of riders who demand a high level of reliability and durability.